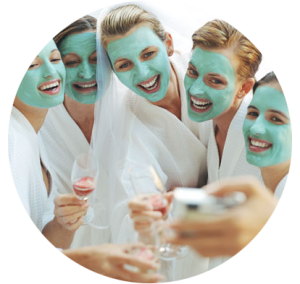 At Re Salon and Med Spa we welcome the opportunity to share a special occasion with you and your friends. Whether it’s bridal, bachelorette, prom, birthday, or just for fun! Our planners can assist you with the best services for the size and needs of your group. Please contact one of our party planners at 704.334.8087 or lindsey@resalonandmedspa.com for more information. Below is a link to our Spa Party Agreement for more details.